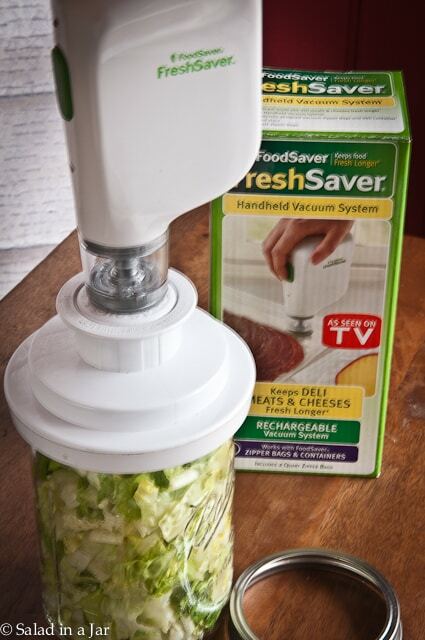 Salad in a Jar “my way” is about a simple technique I devised to vacuum seal chopped lettuce. 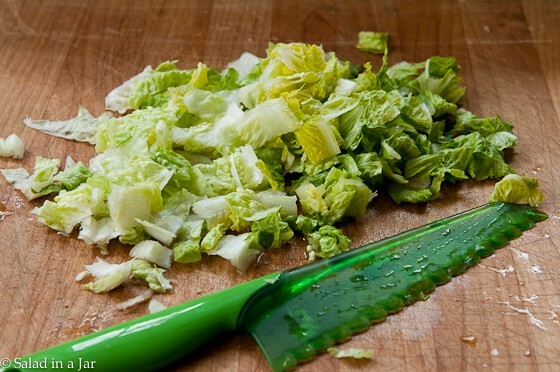 This simple process keeps the cut lettuce edges from turning brown from oxidation. 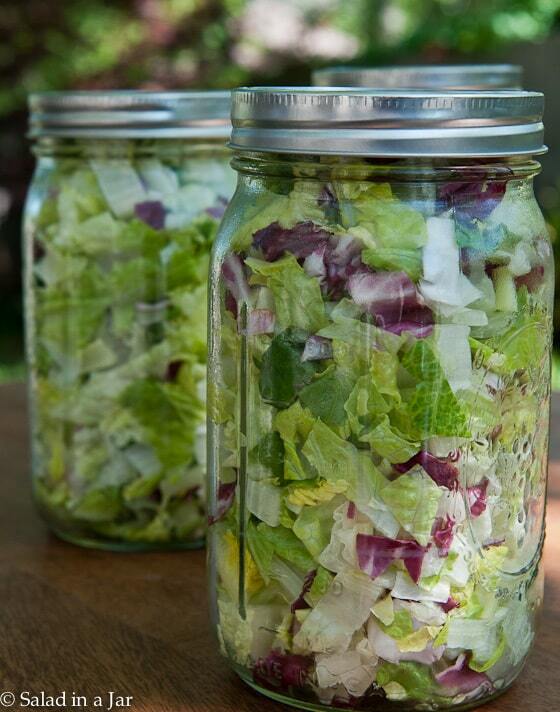 Preparing jars of lettuce in this manner will keep your salad fresh from 7-10 days. 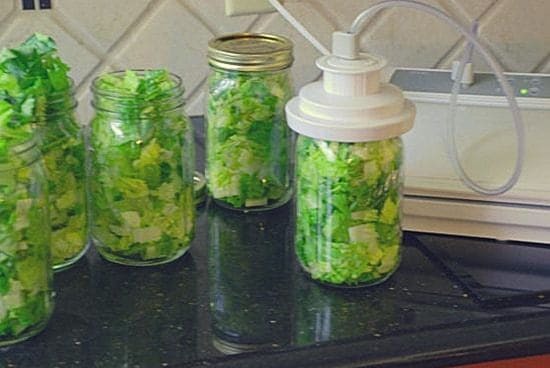 I routinely prepare 7-9 quart jars of lettuce at one time. 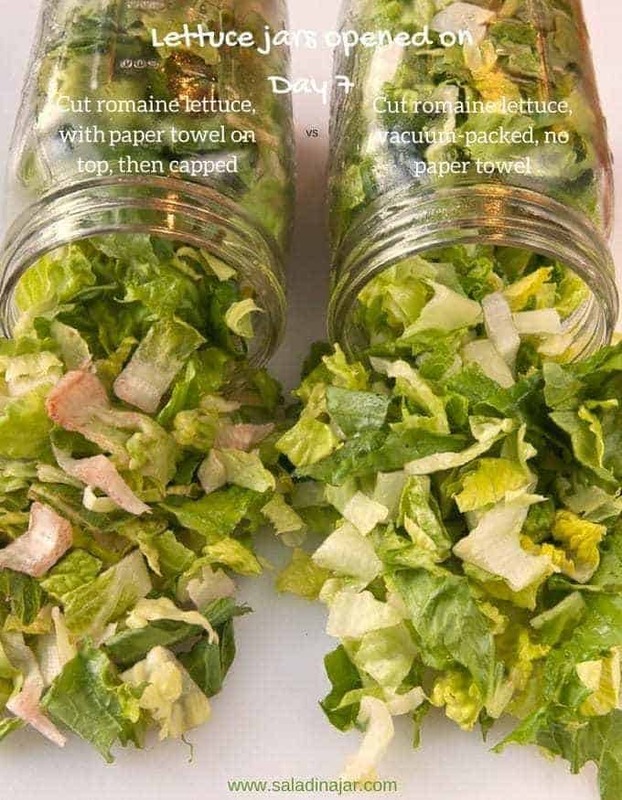 With ready-to-eat (cleaned and already in small pieces) lettuce in the fridge, it’s practically impossible not to eat salad nearly every day. Start with the first link below. Keep reading to get answers to all of your questions. 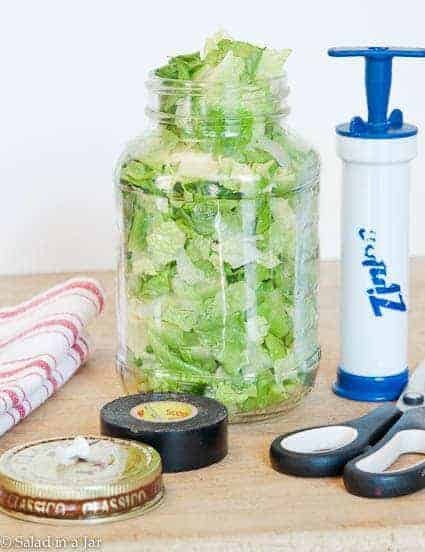 Learn how to vacuum-pack chopped lettuce into Mason glass jars. No brown edges for up to 10 days. 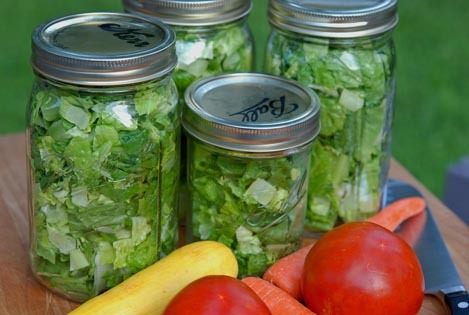 It's homemade "fast food." 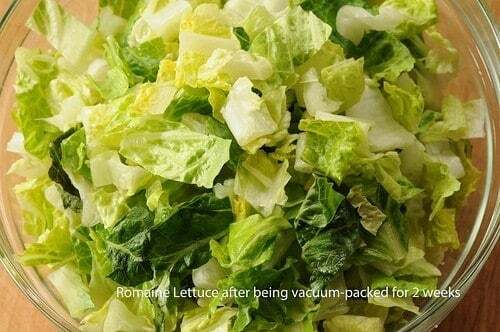 If you normally buy bags of chopped lettuce from the grocery store, this post is for you. 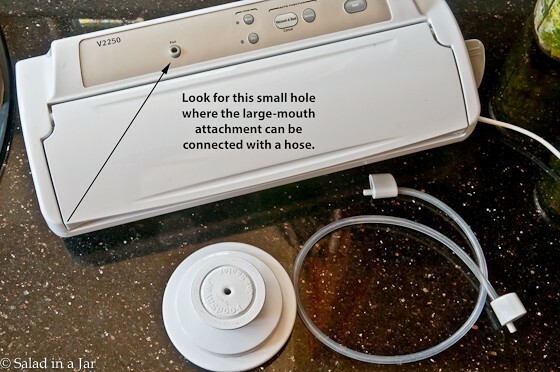 If you want to buy a full-size vacuum-pack machine, read this post first. 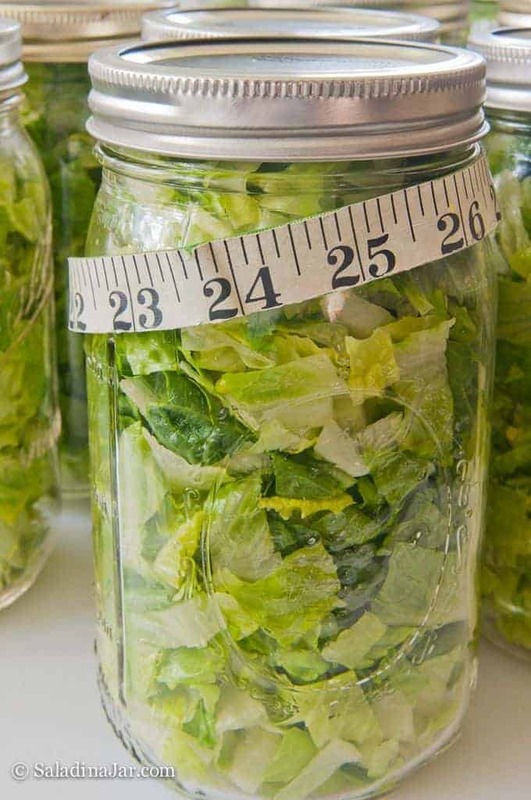 See the affect of vacuum-packing lettuce in Mason jars for up to 10 days.